GUELPH, ON (March 5, 2013) – Grain Farmers of Ontario would like to congratulate Don McKercher from District 9 for winning the second and final March Classic Early Bird draw! Don has won a Petro Canada Preferred Price Fuel Card to enjoy a discount of 25 cents per litre for 100 litres of fuel at any Petro Canada location. Speakers for the March Classic include, Evan Solomon, Cal Whewell, Elaine Froese, Ron MacLean and entertainment by The Debaters. New this year is the Farmer Panel, moderated by Elaine Froese that will discuss the topic “what will farming look like in the future”. 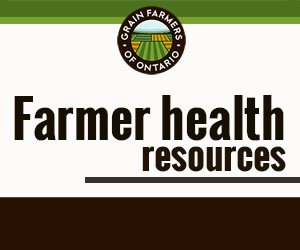 This panel will provide unique perspectives on the future of Ontario’s grain industry from farmers at various life and business stages. The March Classic is the largest grain-focused conference in Eastern Canada drawing upwards of 500 attendees from government, industry, and farms across Ontario. 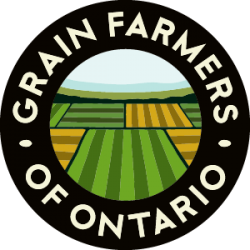 Building on the huge success of the 2012 conference, Grain Farmers of Ontario has developed an even bigger and better event for 2013 with speakers discussing issues of politics, grain markets and succession planning. This is an event you won’t want to miss! To pre-register online for the Monday March 18th conference in London, Ontario at the London Convention Center, visit www.gfo.ca/marchclassic or call the office at 1 800 265 0550. Pre-registration will close midnight on March 12th.